We’re thrilled to be teaming up with Iceland supermarket on their new food waste- and plastic pollution-busting beer. 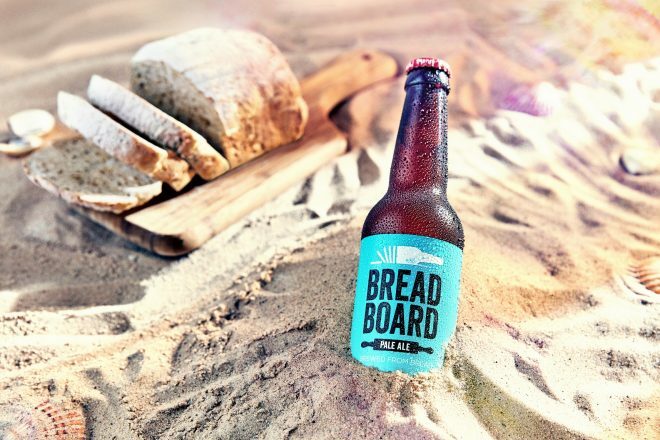 Bread Board Pale Ale uses surplus bread from Iceland’s stores and bakeries in a bid to reduce food waste. If you thought that was good, how about this? They’re donating 10p from every bottle to Surfers Against Sewage to help us in our mission to achieve plastic-free coastlines. These donations will be used to fund our UK beach cleans and other campaigns that champion the reduction of avoidable single-use plastic consumption. The beer was developed exclusively by contemporary Welsh brewery, Tiny Rebel, and will make good use of the three tonnes of bread expected to go unsold over the next year. Earlier this year, Iceland committed to become the first major retailer globally to eliminate plastic from its own label packaging within the next five years.